Thread: DIY Ppost Anodising treatments? Just done my first bit of anodising (successfully I'm happy to say!) and had a question for you experienced chaps/chapettes. Very happy with my results, I have used caswell red bordeaux dye and sealed with their anodising sealer in boiling water (nickel acetate based) and all is good but I need to give the parts a bit of a scrub after sealing to remove a matt layer of sealant. This leaves a nice finish, but not deep and glossy. I used some carnauba wax and it brought out a really nice finish but obviously isn't suited to areas such as the knurl where the wax would just get stuck. 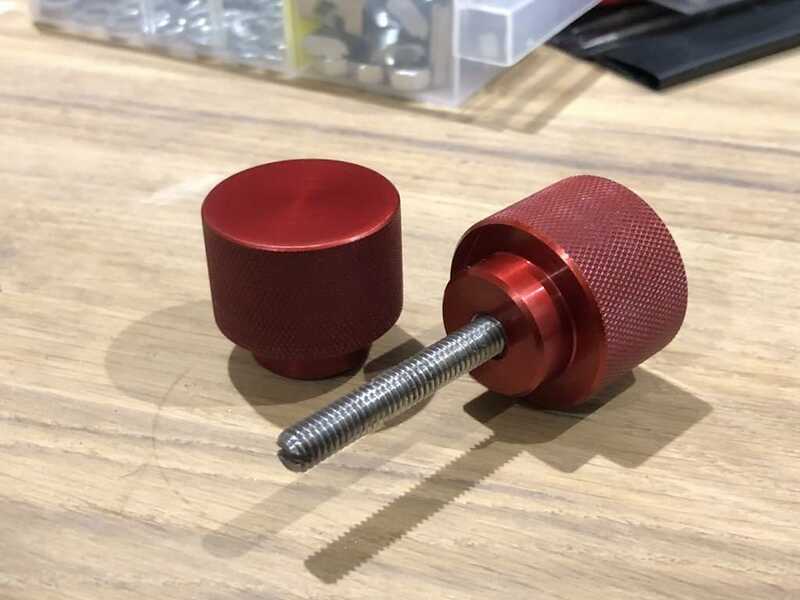 This raised the question - is there anything in paticular you use/do to get a nice glossy deep finish on anodised parts that can be done at home? Last edited by Zeeflyboy; 05-10-2018 at 10:29 PM. The lustre of the piece can depend a lot on the exact alloy used, with the couple of things I've had done, 6060 or 6063 seems to be the best, pieces I've had done in 6082 or 5251 sheet never looked so nice. I have had good results getting a nice shiny finish with the carnauba wax on flat/smooth parts. I might see if I can find some clear wax that won't leave white residue knurls etc.